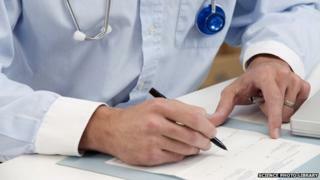 Action to boost the use of Welsh by GPs and dentists has been promised by the health minister. Mark Drakeford said patients would be offered Welsh-language services rather be expected to ask for them. He promised to survey and increase the number of Welsh-speaking NHS staff in response to a report by the Welsh Language commissioner in June. Mr Drakeford said better use of Welsh would improve the safety of patients as well as show them dignity and respect. The commissioner had found that only 28% of Welsh speakers surveyed had used the language with their GP, dentist or optician, and many felt "awkward" discussing their health concerns in English. Giving the Welsh government's response on Wednesday, Mr Drakeford said the Welsh language must not be treated less favourably in the primary care sector of the health service than English. "The ability to provide services in Welsh is one of the key elements to delivering a quality service, especially for vulnerable groups who find it easier to express themselves in their first language," he said. "This is about patient safety as well as ensuring the dignity and respect for those patients whose first language is Welsh." He added that the development of primary care clusters serving populations of 25,000 to 100,000 people would help strengthen the availability of Welsh-speaking health staff. Meri Huws, the Welsh Language commissioner, welcomed the minister's response to her report, saying primary care was "the starting point" of most people's relationship with the health service. "When gathering evidence from individuals for the inquiry, it became apparent that there are major gaps in the provision of Welsh language services, and this is having a negative impact on patients' welfare and dignity in Wales," she said.